The earlobes are a unique part of your ear. They reside close to the face and can be quite visible to others. The lobes refer to the lower, fleshy or bulbous part of the human ear. For women, the earlobes are especially important since they carry earrings. Just like many other features of the head and neck, the earlobes don’t attract attention if they are aesthetically pleasing in form, shape and proportion. 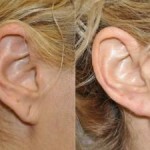 However, when they are torn, stretched or unsightly, the earlobes can pose a notable threat to your self-confidence. In addition, damaged earlobes can prevent you from wearing earrings. Fortunately, the fix for your earlobe concerns is quite simple. In fact, earlobe repair is one of the most straightforward and painless cosmetic surgeries available. 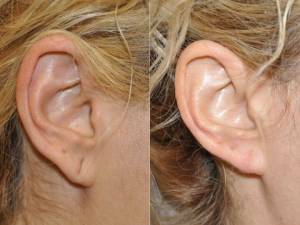 Since the earlobe is made entirely of cartilage, it is easily stretched or damaged, but also easily repaired. 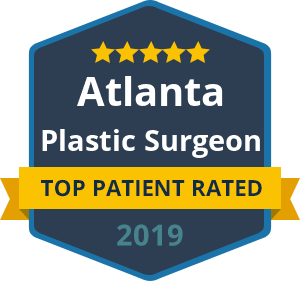 A qualified plastic surgeon understands how to carefully reshape a torn or overstretched earlobe by making small, hidden incisions. The procedure can be done in a matter of minutes using only local anesthesia. Once the surgical site has healed, you can return to wearing earrings again. If you want to regain the naturally rounded earlobes of your youth or be able to wear earrings again, turn to Dr. Ben Talei. Earlobe Repair is a simple fix that can dramatically influence your self-confidence and ability to accessorize.